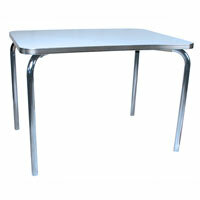 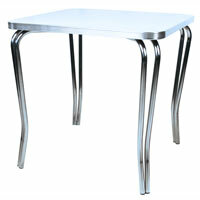 Our 1950s style chrome tables are made just like they were back in the 50's. 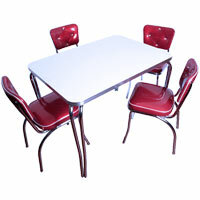 Our retro table tops are manufactured in the USA using high pressure laminates made by both WilsonArt and Formica. 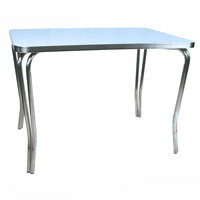 The table tops feature grooved aluminum edging and matching chrome plated steel lets. 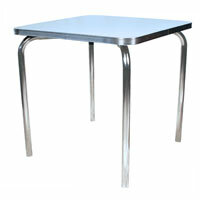 Our retro tables are commercial grade and can work in both residential settings and restaurants. 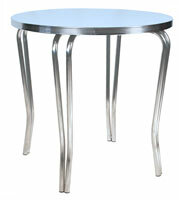 For additional laminate swatches please visit Formica.com and WilsonArt.com. 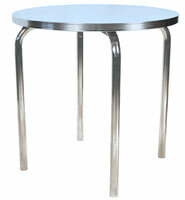 Click here to see our most popular table laminates. 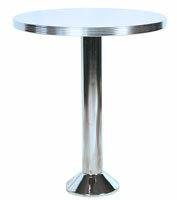 Custom table sizes and custom colors are available.